Our Roll Out Awning Walls will help to extend your area, whilst keeping it enclosed. A great way to extend your living area whilst you are out enjoying the great outdoors. Roll Out Awning Walls are very easy to erect and most new vans come with them already fitted. Specialised Anti Flap Kits are available for most models which allows for easy attaching of the walls. 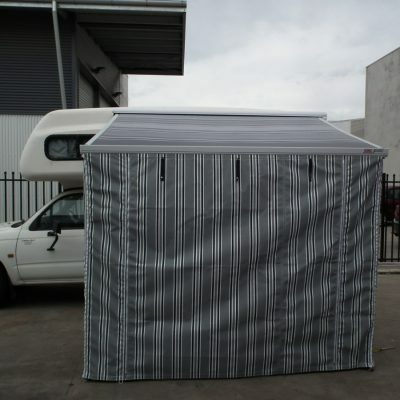 The set includes 3 walls including a door and large window, also included is the storm flap or draught skirt that protects from draughts under the van. Extra doors or windows can be added to suit your needs. 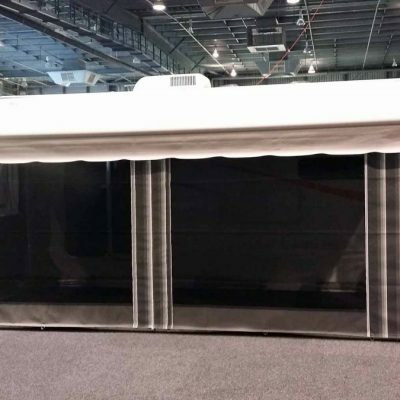 We can manufacture Roll Out Awning Walls to suit most makes and models of caravans. The materials that are used can be in various colours, or a variety of striped material. We have a guide on how to choose the right walls for your caravan. 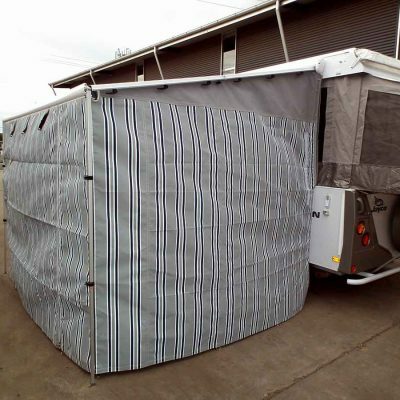 Contact Adelaide Annexe & Canvas to have your custom made roll out awning walls created for your caravan.